On January 13, 2019 our hearts were broken when Vickie Olivarez unexpectedly left us to be with the Lord. 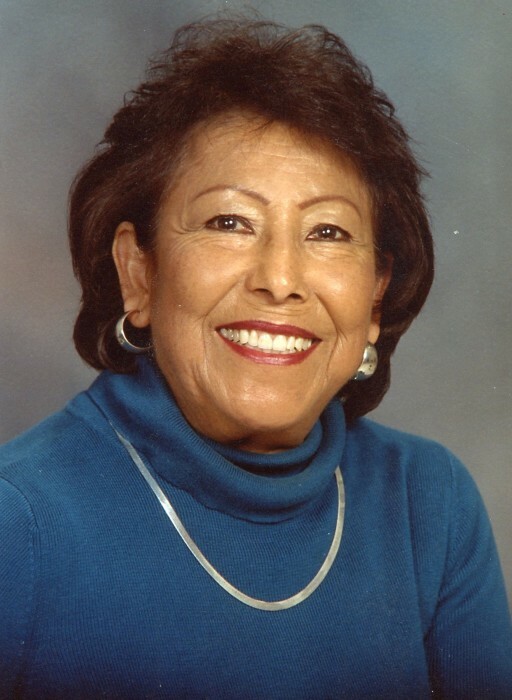 She was born Edubijen Belen Chavez in Soledad, CA on October 17, 1942 to Cruz and Consuelo Chavez. She grew up playing outside with her dog Lucky and having many adventures such as climbing on the roof, getting caught in a wasp nest, and balancing a pitchfork on a swing so she could jump over it. At the age of 15 her family moved to Merced where she experienced her first true summer heat. She attended Merced High School but was moved with her classmates to attend the newly built El Capitan High. She was proud of the “Blue & Black” and was a member of the Rally Committee. 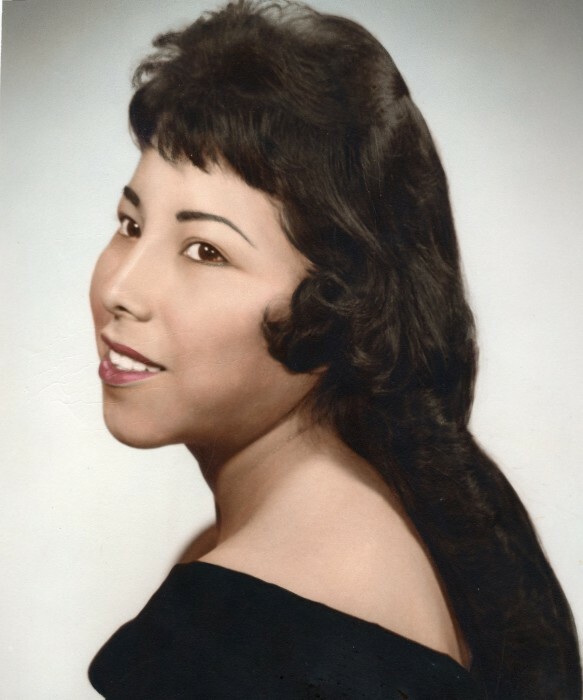 She was part of the very first graduating class in 1961 and received a scholarship to attend Merced Beauty College. But her biggest high school accomplishment was meeting her lifetime love, Robert Olivarez at the local skating rink. Vickie and Robert were married in November 1962. Vickie worked as a Beautician at Mr. Robert’s Coiffures, Reynaldo’s and then at the Gottschalks Beauty Salon. She would later become an employee of Merced City School District where she spent 29 years as a classroom aid, a bilingual aid, and later a Library Technician. Vickie enjoyed spending time with the students and teaching them in the Library Service Club. After retirement she became a member of the Coffee Break Bible Study at Yosemite Church and served in the Kitchen Ministry where she made many dear friends. Vickie was quite talented in knitting and crocheting and enjoyed making scarves as gifts, but her true joy was making small afghans for all the new babies of family and friends. Her work has kept hundreds of people warm for decades. Vickie and Robert were married for 56 years and enjoyed membership in various clubs including the Merced Fish & Game Club, the Eagles, the Elks, and the Birthday Club. Vickie is survived by her husband Robert, her son Steven Olivarez (Renee), her daughter Birdi Olivarez-Kidwell (Sean), granddaughters Alexia, Andrea and Rhiannon, her grandson Torin, her sisters Angie Kelzer and Elaine Hughbanks, her brother James Chavez, and many loving brothers- and sisters-in-law, treasured nieces & nephews, and many other family members and dear friends. A rosary will said at Saint Patrick’s Catholic Church on Thursday, January 24th at 6:00pm, with visitation from 4:00 pm-6:00 pm. The funeral mass will be held on Friday, January 25th at 10:00am, also at St. Patrick’s. If you have a blanket or scarf made by Vickie, please bring it to drape over your pew.